"With the NH-D15S, Noctua has definitely created a powerful CPU cooler, which features good looks and high quality finish. The overall build quality is definitely good and on the expected high level, and for example the nickel plated finish leaves an excellent impression. Apart from that, it brings impressive cooling performance that has been combined with a decent fan, which, when set to run at 7 Volt, is inaudible. Furthermore it also supports all recent sockets." Noctua NH-D15S review by OCAholic - Introduction & Conclusion. "Without a doubt, the ASUS Maximus VIII Extreme Assembly is a true high-end motherboard. If you're planning on overclocking your Skylake CPU, no matter whether it's extreme overclocking or aircooled OC, this is an ideal platform." ASUS MAXIMUS VIII EXTREME/ASSEMBLY review by OCAholic - Introduction & Conclusion. "Over the years we've noticed that SteelSeries does a great job in equipping their top-end headset models with the highest quality components and all the latest technologies so because of that we didn't expect anything less from the Siberia 650. As a matter of fact after testing the Siberia 650 with several games, blue-ray movies and games I’m quite positive that it’s identical to the excellent Prism (so SteelSeries effectively renamed the Siberia Elite Prism to Siberia 650 to match their new lineup). As mentioned earlier this is not a bad thing since just like the Prism the Siberia 650 it features excellent mids and highs with very rich and warm bass levels." SteelSeries Siberia 650 headset review by NiKKTech - Introduction & Conclusion. "Overall, the Z170-Pro feels like a high-end product, and specifications and hardware aren't the only things which make that true. Overclocking on the Z170-Pro was also much better than one might expect, especially when dealing with memory." ASUS Z170-PRO motherboard review by Tweaktown - Introduction & Conclusion. "It's really refreshing to see a game that's mostly optimized. And by that, I mean that we're seeing great performance on a level that we expect for both brands. AMD and NVIDIA are strong performers here, with NVIDIA taking a slight lead all the way until we get to 4K. And even then, performance is solid and very encouraging. Dunia 2 might be resource heavy when you adjust everything to the max, but even a small decrease in preset results in a still good looking game." Read the full article on TweakTown. Need a new video card to play this awesome game? 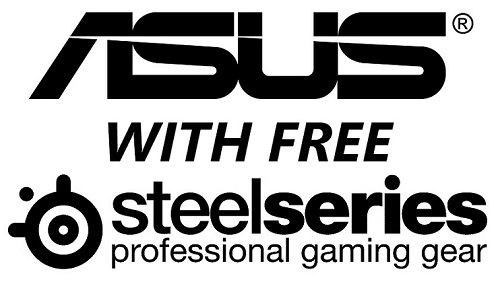 Check out our range of ASUS graphics card options! "I have been using ASUS Motherboards for many many years. I have always found them to be well priced and having lots of great features. And today is no exception. ASUS continue to add all the goods to there Motherboards and GPU's, Even for there low to mid range hardware you still feel you are getting more for less." 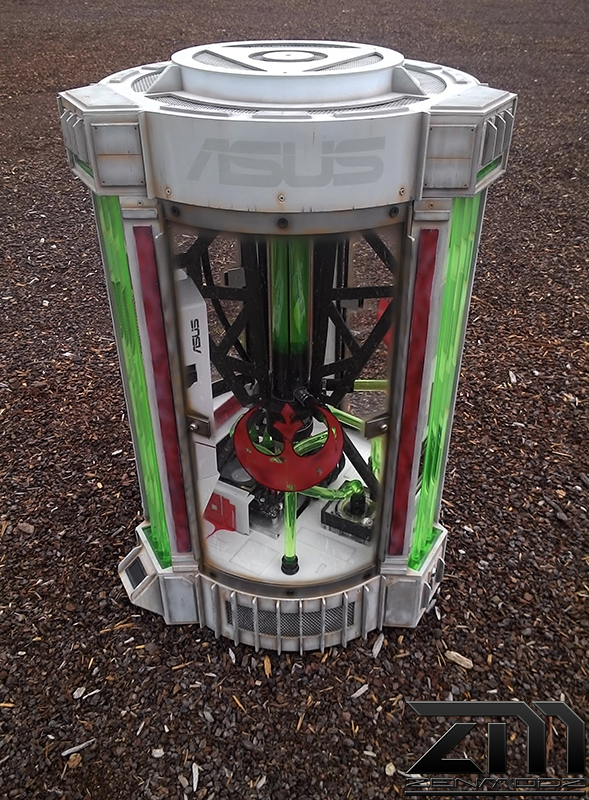 ASUS POWER CELL chassis mod on the OCAU forums - Full thread. "Thermaltake did an amazing job in designing and implementing the Core X9 E-ATX Cube Chassis. The case is large enough to house any assortment of components necessary for even the boldest liquid cooling apparatus while remaining extensible enough to appeal to the hard-core of the modding community." Thermaltake Core X9 chassis review by PC Perspective - Introduction & Conclusion. "Sound quality was exceptionally good. I say that knowing that while my ears are still sensitive I am no audiophile but can recognize subtitle things in the audio stream. Overall I was impressed with the level of clarity and definition the H5 brought to my games." Creative Sound BlasterX H5 headset review by Hardware Asylum - Introduction & Conclusion. "The Noctua NF-A14 IndustrialPPC and Noctua NF-F12 IndustrialPPC fans are perfect examples; continuing to meet and go above expectations. Since these fans are intended for 24V industrial applications, with the superior material used for the construction of the frames, they do have exceptional build quality. They can be run in 12V environments"
Noctua industrialPPC fans review by APH Networks - Introduction & Conclusion.